After8toEducate is utilizing the collective impact model to solve youth homelessness in Dallas ISD and the Dallas Metroplex. The collective impact approach includes: (1) a common agenda, (2) shared goals and measurements, (3) mutually reinforcing activities, (4) continuous communication, and (5) a backbone organization. After8toEducate is serving as the backbone organization for this initiative and maximizing the impact of organizations working together to solve for the issue of youth homelessness in Dallas. The involvement of Texas' second largest school district and the co-location of services with Promise House and CitySquare make this collaboration unique across the United States. In 2018, After8toEducate was awarded funds by the Kozmetsky Family Foundation to support After8's backbone support role for this initiative. This funding goes in part to providing After8 with the means to mobilize fundraising, provide strategic visioning, and implement coordinated data strategies at the Fannie C. Harris Youth Center. After8toEducate also recently announced exciting funding news from the Carl B. & Florence E. King Foundation toward After8's program operations at the Center. 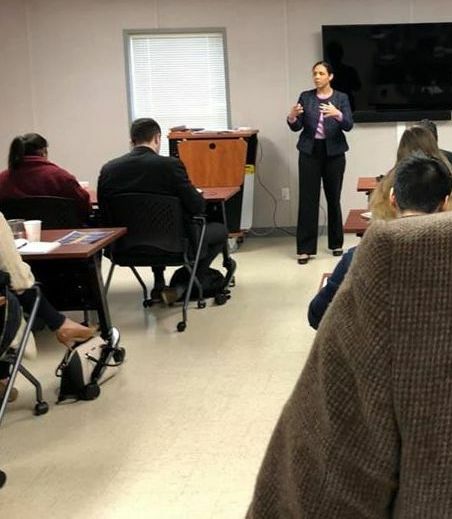 Earlier this month, After8 Executive Director Hillary Evans presented to the Dana Juett Residents, a program of Social Venture Partners Dallas, regarding the After8toEducate collaborative. This presentation highlighted the collective impact model as an innovative method to create impact and drive social change. Another speaker for this event was Regen Fearon who also served on After8's steering committee. 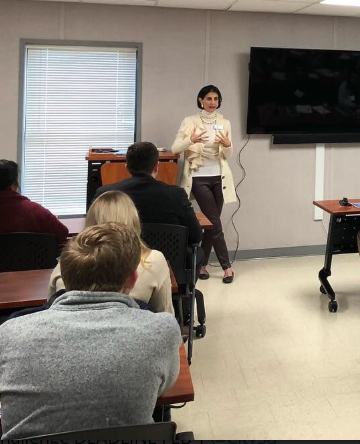 She highlighted Early Matters DFW, a county-wide initiative utilizing a collaborative model between hundreds of organizations to improve the lives and educational outcomes for Dallas County children. Bachman Lake Together Family Center is another product of Fearon's work, where many organizations work together with families in order to ensure children's kindergarten readiness. Promise House, a partner in the After8toEducate collaborative, has been selected as a 2019 beneficiary of The Crystal Charity Ball. Promise House will receive a total of $756,072 in funding over three years to support the Emergency Youth Shelter at Fannie C. Harris. 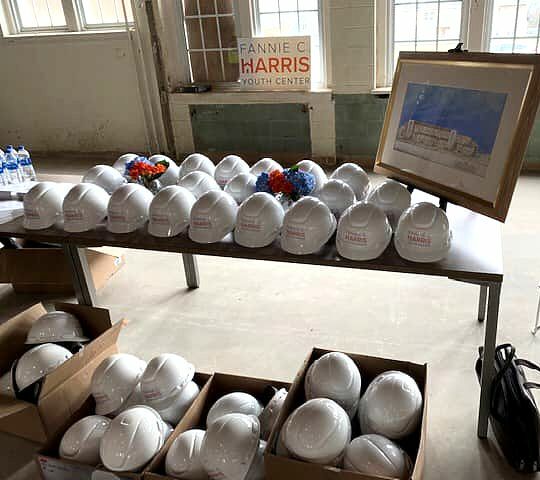 Promise House is managing and operating all residential services at Fannie C. Harris, which will include 26 emergency shelter beds for DISD students ages 14-18 and 9 transitional living beds for students ages 18-21. On February 27, After8toEducate Site Manager Billy Lane made a successful pitch about After8 and the Fannie C. Harris Youth Center at the 100 Men of East Dallas quarterly meeting. During these quarterly meetings, a group of east Dallas "men who give a damn" come together to learn about local charities. After8 was one of three charities that shared about their programs for the opportunity to be chosen as the recipient of a collective donation. At the end of the event, After8toEducate was chosen as the beneficiary of a donation of $4,400.00. 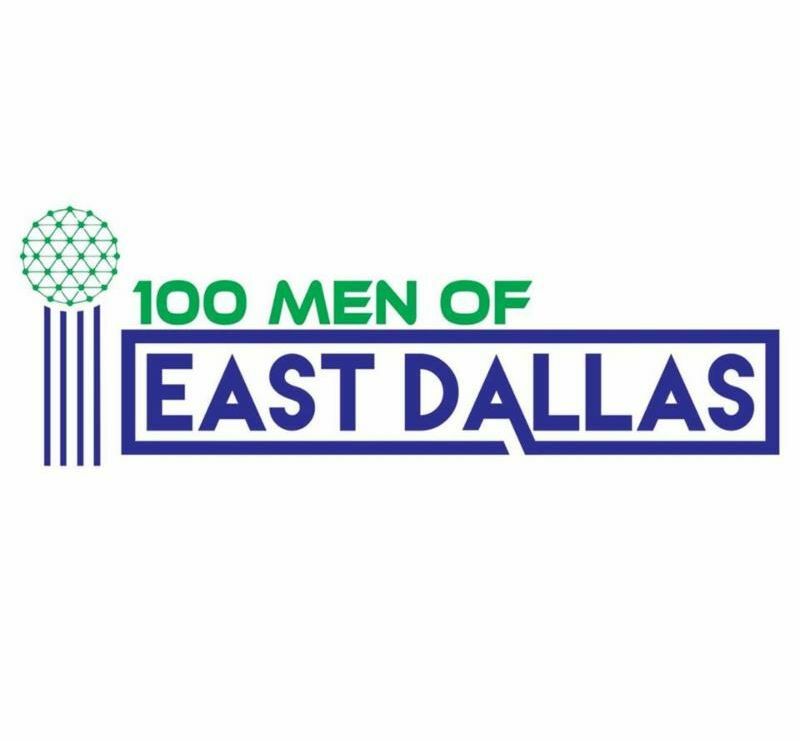 After8 is grateful to 100 Men of East Dallas for their generosity! The Dallas Alumnae Club of Pi Beta Phi generously awarded books to After8toEducate for the Fannie C. Harris Youth Center. With the award received from Pi Beta Phi, After8 acquired over 80 new books from FirstBook. FirstBook is a nonprofit social enterprise providing resources to children in need, educators and nonprofits. 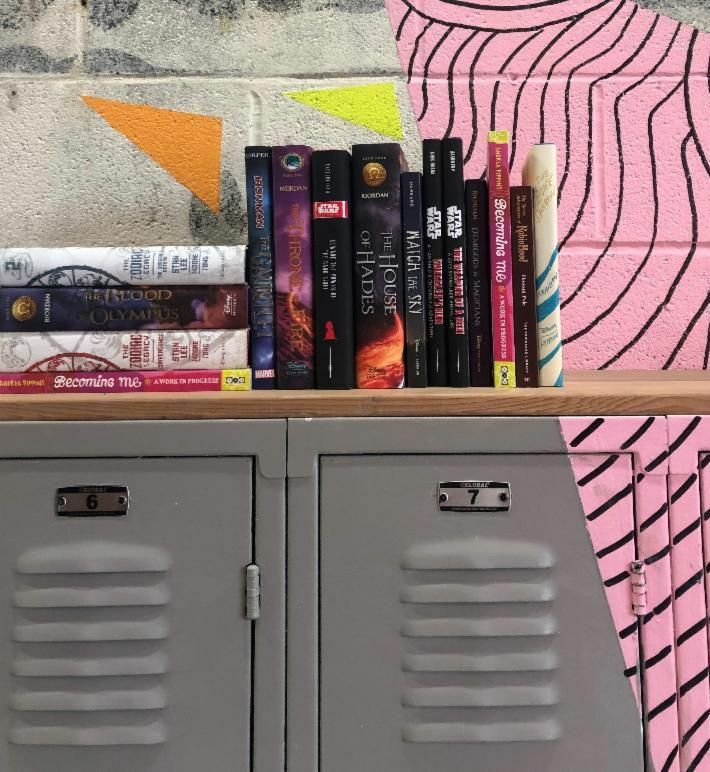 The books provided by Pi Beta Phi will be a great asset to teens during their time at the Center! On February 27, the Dallas City Council voted to reinstate the curfew for minors under 17 years old. The previous teen curfew, which had been in effect since 1991, prohibited teens from being out between 11pm and 6am and included a maximum fine of $500 for any minor violating the curfew. The new juvenile curfew will begin on Monday, March 4 and the fine has been reduced to a maximum of $50, with two verbal warnings prior to a fine issuance. The curfew affects minors under 17 years old, prohibiting them from being out during school hours 9:00 am to 2:30 pm and 11:00 pm to 6:00 am on weeknights. Those who opposed the curfew cited concerns that it would largely target minorities, and would criminalize youth by involving them with the criminal justice system. Those for and against the curfew worked to reach a compromise, with over a dozen exceptions added in consideration of youth who work, participate in extracurricular activities or other circumstances such as youth experiencing homelessness. The city council has been directed to allocate $500,000 for youth services to the Parks and Recreation Department, with a portion of those funds to provide identification cards so youth can access the city's recreation facilities. 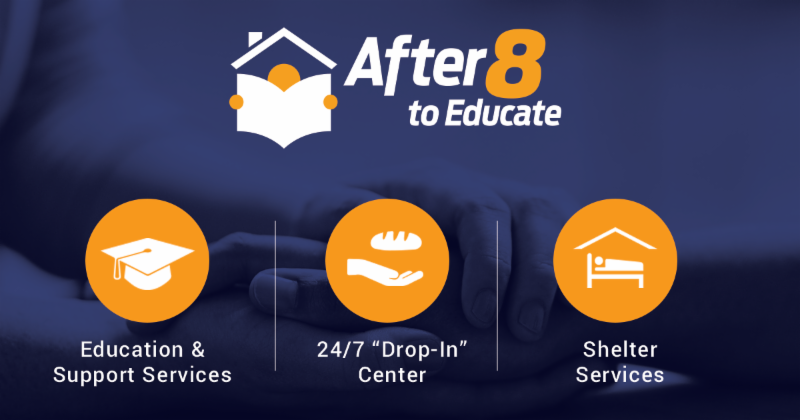 After8toEducate ("After8") is a first-of-its-kind, collaborative effort to support unsheltered youth enrolled in Dallas Independent School District high schools and provide immediate support services for homeless young adults ages 14-21. 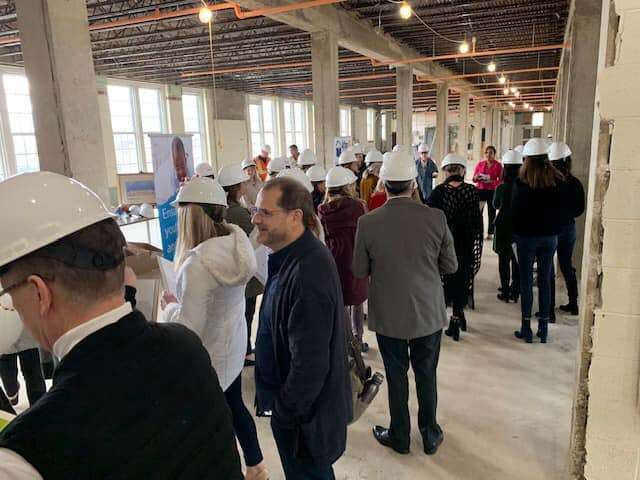 Powered through Social Venture Partners Dallas, After8 harnesses the strengths of Dallas ISD and nonprofit agencies Promise House and CitySquare.